When Michael Jackson died unexpectedly on June 25, 2009, he left behind three minor children, Michael Joseph "Prince" Jackson, Jr., Paris Katherine Michael Jackson, and Prince Michael "Blanket" Jackson II, and, fortunately for them, an estate plan including a Last Will and Testament and a Revocable Living Trust named the Michael Jackson Family Trust. Because Michael Jackson's estate plan is a "trust-based estate plan," as opposed to a "will-based estate plan," his Last Will and Testament, referred to by estate planning attorneys as a "Pour Over Will," is a relatively short document consisting of only five pages. This means that the Michael Jackson Family Trust is the true governing document of Michael Jackson's estate. Michael Jackson signed the original trust agreement on November 1, 1995, but the governing trust agreement that existed at the time of Jackson's death back in June 2009 was a fully amended and restated version signed by him on March 2, 2002. A long-time attorney for the Jackson family, John Branca, music executive John McClain, and accountant Barry Siegel were named to serve as co-trustees of the trust. Barry Siegel signed a letter on August 26, 2003, in which he declined to serve as a co-trustee, leaving Branca and McClain to serve as the co-trustees. Both still serve in this capacity today, as well as co-executors of Michael Jackson's estate. 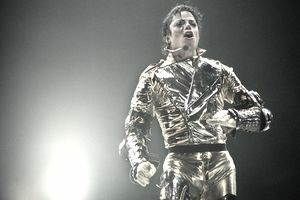 Under normal circumstances, the trust agreement should remain as a private document that only family members and those named in the trust can read, but because of Michael Jackson's fame, a copy of the Michael Jackson Family Trust was released to the public about a year after the singer's death. The first 20 percent of Michael Jackson's estate is to be left to one or more children's charities selected by a committee consisting of Jackson's mother, Katherine Jackson, and co-trustees John Branca and John McClain. The committee can choose among existing charities or establish one or more charities to satisfy this bequest. The balance of the trust assets remaining after the payment of estate taxes, medical bills, funeral expenses, attorney's fees, and other costs incurred in settling Jackson's estate is to be distributed 50 percent equally among Jackson's three children: Prince, Paris, and Blanket, and 50 percent to Katherine Jackson. Katherine Jackson's 50 percent share is to be held in a lifetime trust for her benefit with John Branca and John McClain serving as co-trustees. The co-trustees have the complete discretion as to when income and principal may be distributed to provide for Katherine Jackson's "care, support, maintenance, comfort, and well-being." Upon Katherine Jackson's death, the balance of her trust is to be divided equally among Prince, Paris, and Blanket. The children's shares will be held in separate trusts also with John Branca and John McClain serving as co-trustees. Until each child reaches 21, distributions are left to the complete discretion of the co-trustees. At 21, each child will receive all of the net income from his or her own trust and principal if the co-trustees determine that the net income is not sufficient to provide for the child's "reasonable care, support, maintenance, and education." Each child will receive one-third of the remaining trust principal outright at 30, another one-half outright at 35, and the remaining balance outright at 40. In addition, the co-trustees are given the discretion to accelerate principal distributions if a child is in need of funds to buy a home, start a family, or start a business. This will leave Katherine Jackson, who was named as the children's guardian in August 2009, at the mercy of the co-trustees when it comes to asking for funds to support the children. If Michael Jackson was not survived by his mother or any children or other descendants, such as grandchildren or great-grandchildren, then after the 20 percent carved out for children's charities the balance was to be divided equally among three of Jackson's cousins: Levon Jackson, Elijah Jackson and Anthony Jackson, and three of his brother Tito's children: Taj Jackson, Taryll Jackson, and T.J. Jackson. These shares were to be held in separate trusts in the same manner as provided for Jackson's children. If Branca, McClain, and Siegel were all not available to serve as trustees, then NationsBank, now known as Bank of America, was named to serve as the successor trustee. Because Branca and McClain were available to serve and are in fact serving, they have the power to name one or more individuals to serve as their successors, thereby eliminating Bank of America's right to serve as the successor trustee. The Michael Jackson Family Trust was created to ensure that, upon Michael Jackson's death, his estate would be distributed according to his wishes. The estate, which was overseen by two appointed co-trustees, would go to charities as well as to his mother and children.